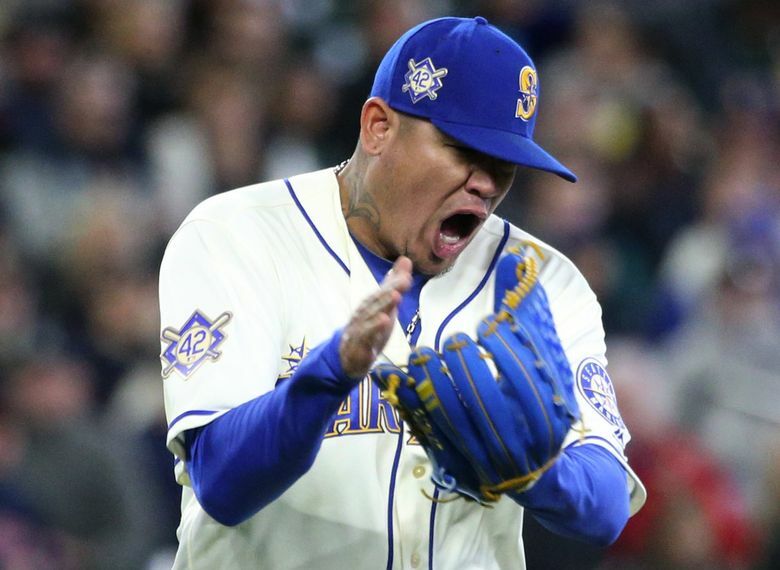 The club got a solid start from Felix Hernandez, but the lack of offense allowed a first-inning home run stand up in a 2-1 win. 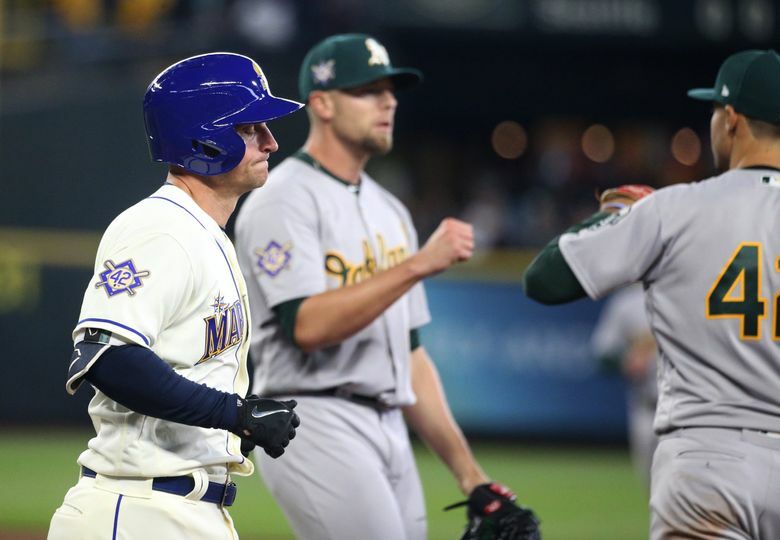 A day after banging out 17 hits and scoring 10 runs, the Mariners, who managed just two hits, were shutdown on Sunday afternoon in a 2-1 loss to the Oakland A’s. 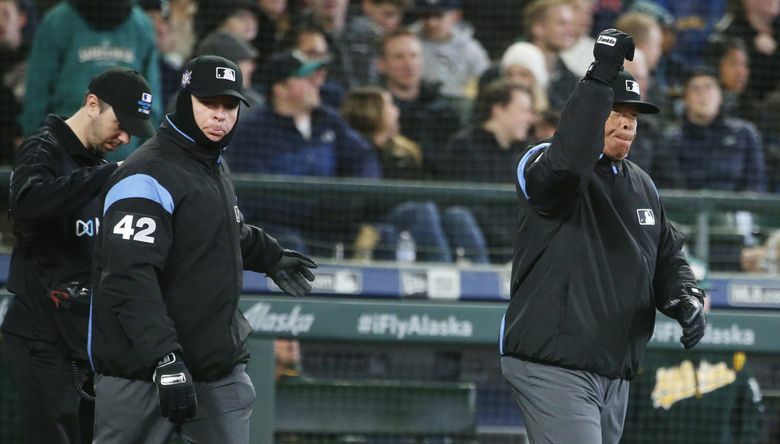 “Little different game today,” manager Scott Servais said with a wry smile. What happened to that explosive offensive in less than 24 hours? 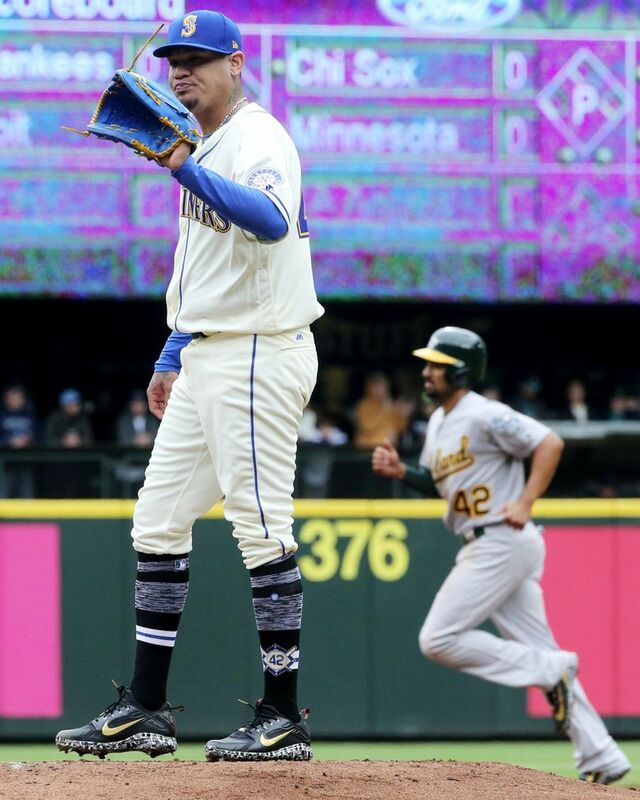 The big lefty, who is easily the most talented pitcher on the Oakland staff, shut down Seattle hitters in a manner that hasn’t happened often in the first 13 games. Manaea tossed seven innings, allowing just one run on two hits with two walks and four strikeouts. 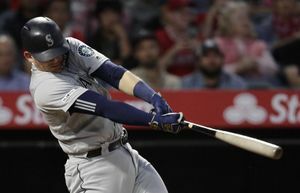 The Mariners’ first hit came in the fourth inning when Kyle Seager slapped a two-out single to center. 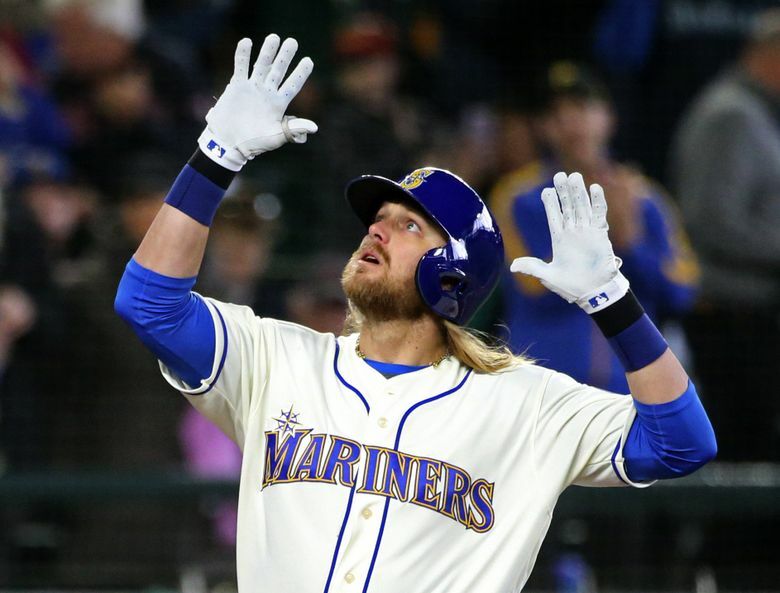 Their first and only run came in the fifth inning when Taylor Motter launched a solo homer to left to cut into a 2-0 deficit. But any flicker was quickly extinguished. The other three batters that reached base against Manaea never got into scoring position. 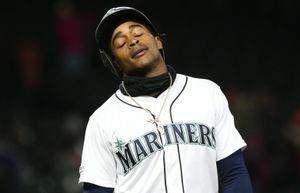 When the Mariners did hit balls hard, they were caught. 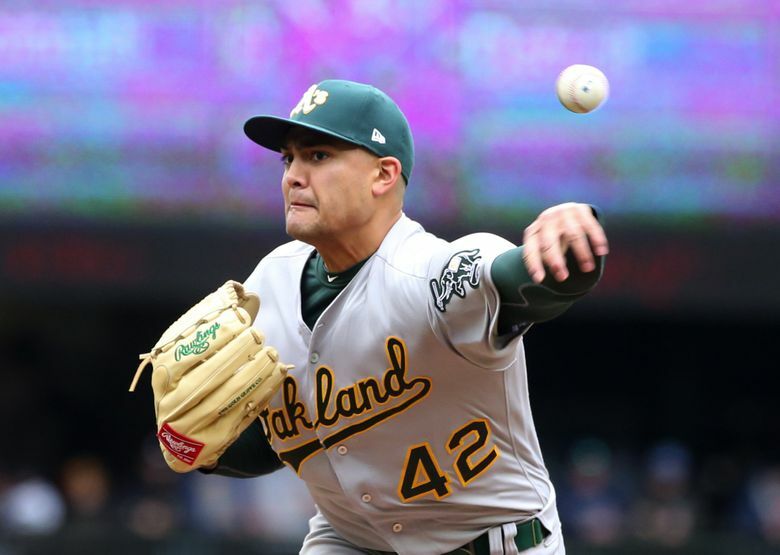 It was the third time in four starts that Manaea has pitched seven-plus innings and allowed two or fewer runs. 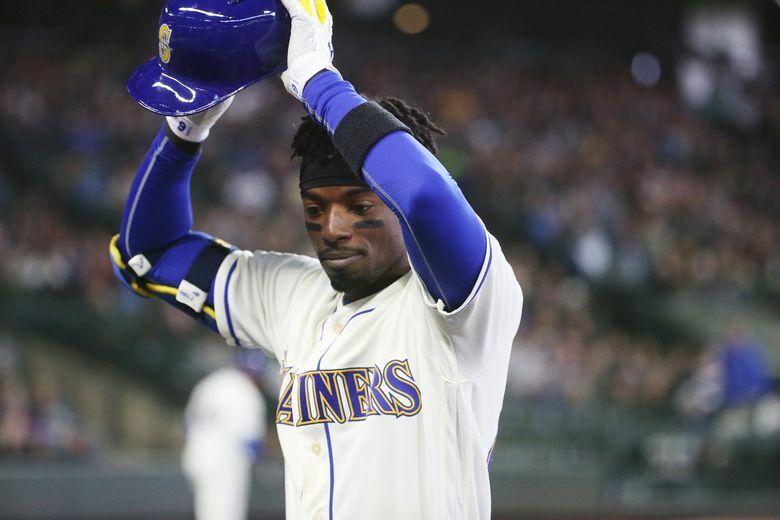 Seattle saw its hope for a sweep and its four-game winning streak snapped, while falling to 8-5. Still, the weekend was a success on most levels. 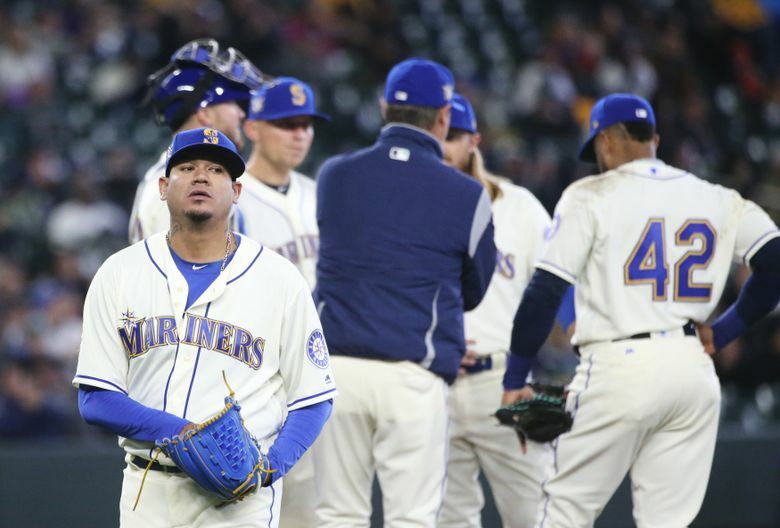 The Mariners won their third three-game series of the season and are still not even at full strength. 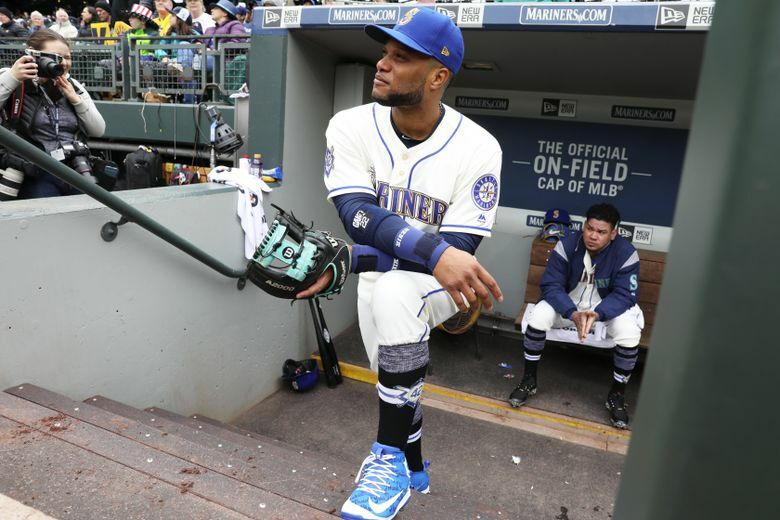 But that direction will feature a major impediment in the form of a raised level of competition when the reigning World Series champion Houston Astros come strutting in to town on Monday for a three-game series. 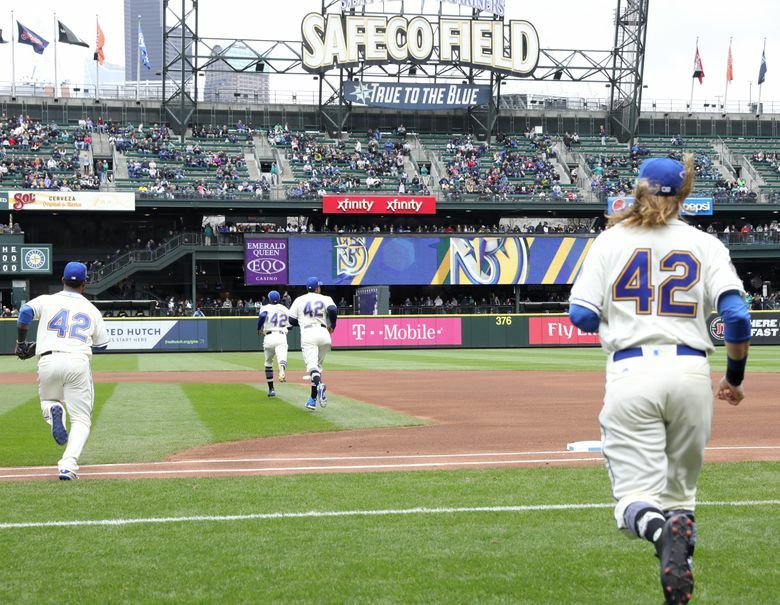 The Marinerswere 5-14 record vs. the Astros last season, including 2-7 at Safeco Field. 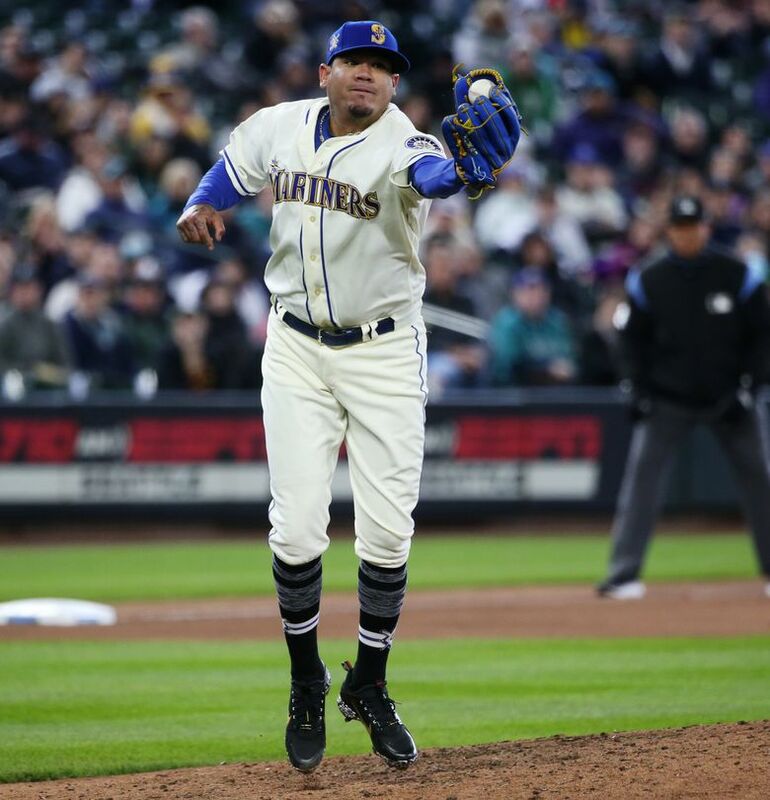 The Mariners got a solid start from Felix Hernandez, who worked 61/3 innings, allowing two runs on five hits with no walks and seven strikeouts. 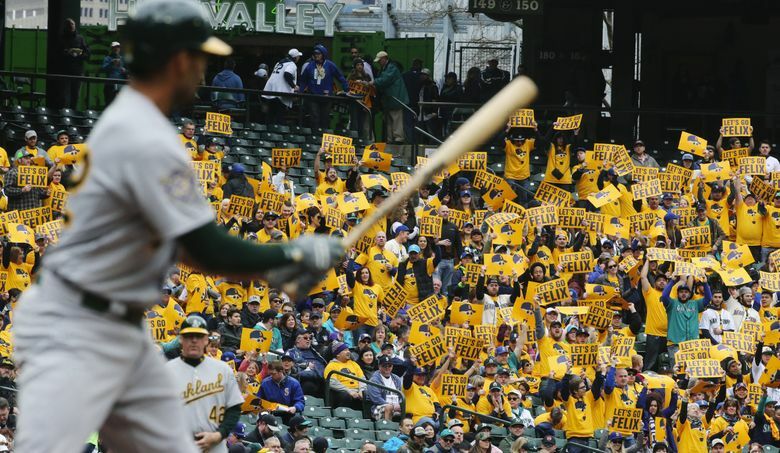 The A’s grabbed a quick 2-0 lead in the top of the first when Hernandez left a 3-0 fastball over the middle that Jed Lowrie redirected into the seats in right field for a two-run homer. 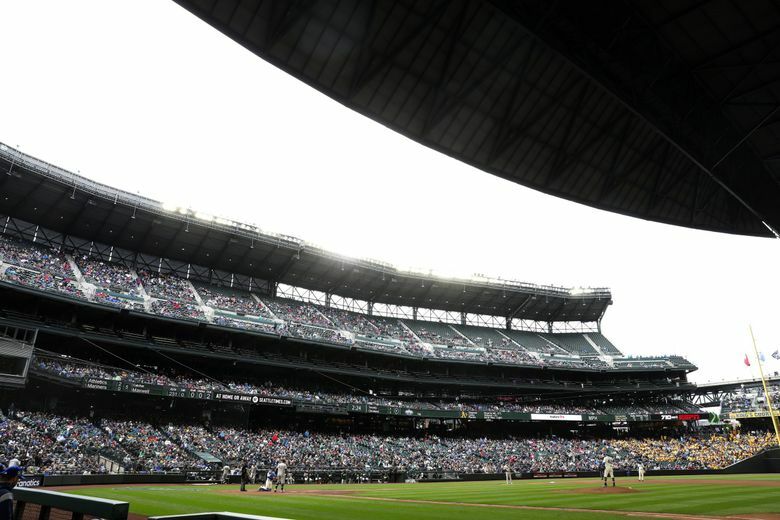 There could be an argument made on whether it should have been a two-run homer or a solo homer. 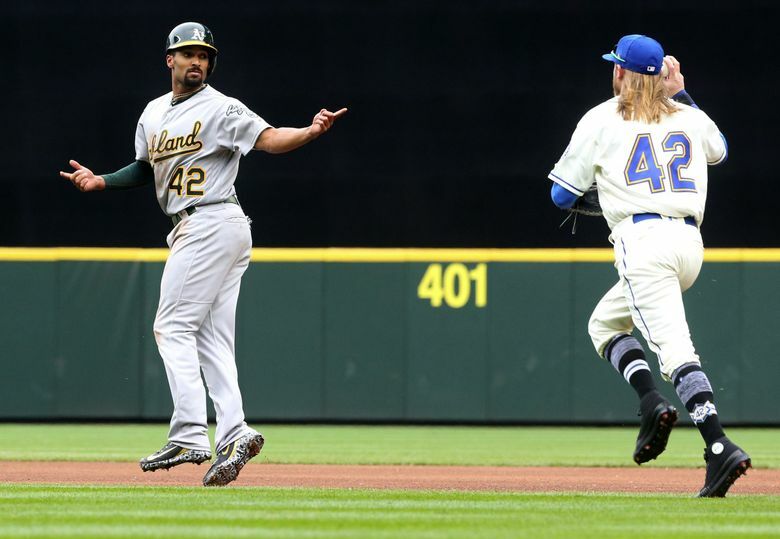 Before Lowrie’s homer, Hernandez made an awkward pickoff throw to first base that caught Marcus Semien off balance. It looked like Semien would be out in a rundown. However, first base ump Carlos Torres called for a balk. 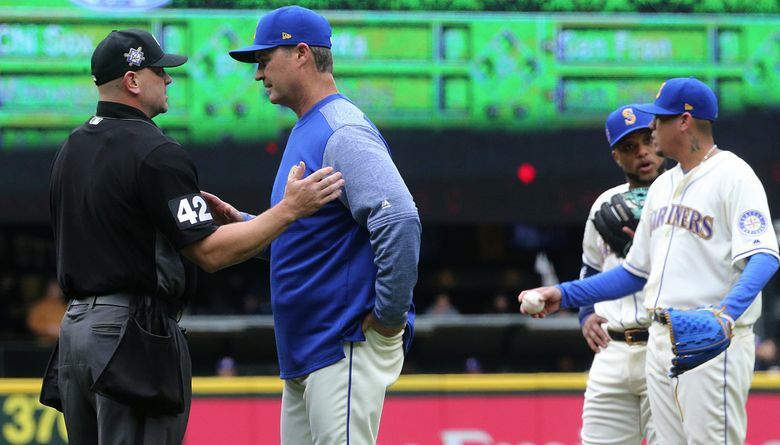 Servais came on the field to dispute the call as Hernandez stood behind the mound and fumed. While Hernandez’s pick off throw looked mildly uncoordinated, he did not, by rule, balk on the throw. He had clearly stepped off the rubber and Torres simply misread it. The umpires conferred and ruled that it indeed was not a balk. 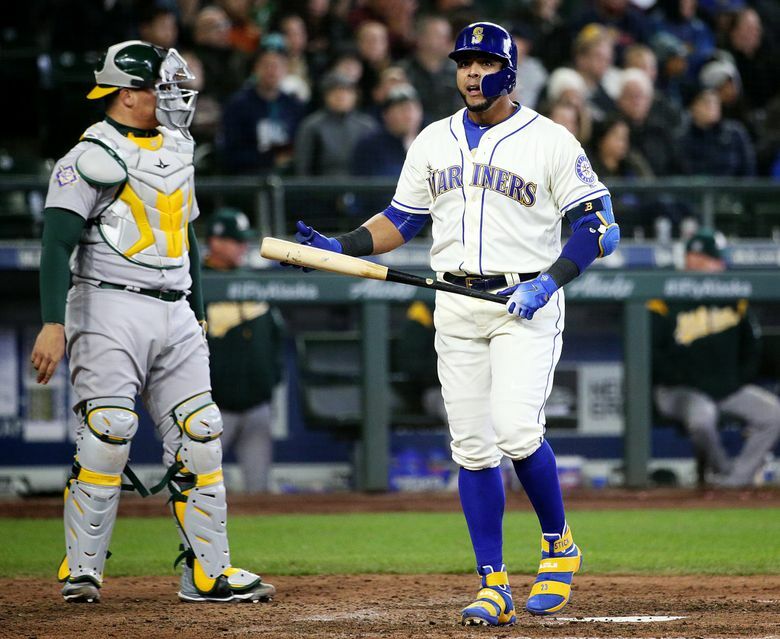 Unfortunately for the Mariners, Semien got to return to first base because Torres’ balk call meant the play was dead immediately. But from the misplaced fastball to Lowrie, Hernandez settled in and started using his secondary pitches efficiently. He retired 13 hitters in a row before hitting Stephen Piscotty in the fifth. Hernandez couldn’t quite work a full seven innings. With his pitch count at 97, he exited with one out and runners on first and second. 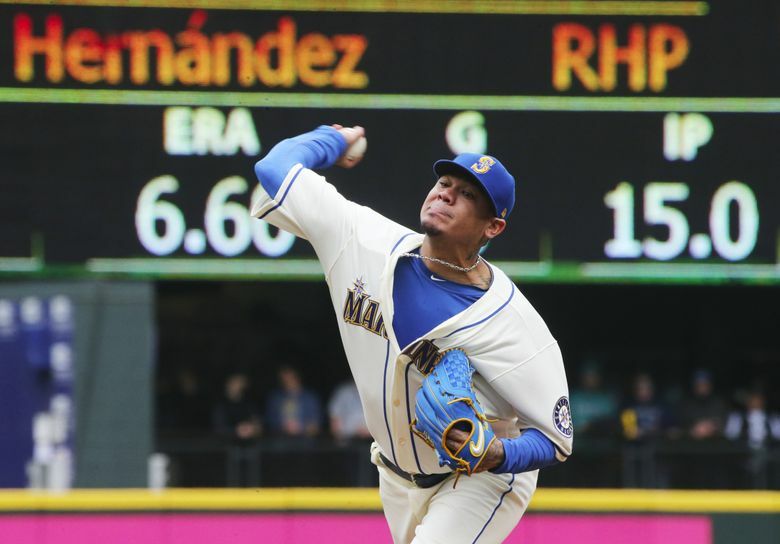 Lefty James Pazos entered the game and threw one pitch for an inning-ending 6-4-3 double play. Ryan Divish: 206-464-2373 or rdivish@seattletimes.com.